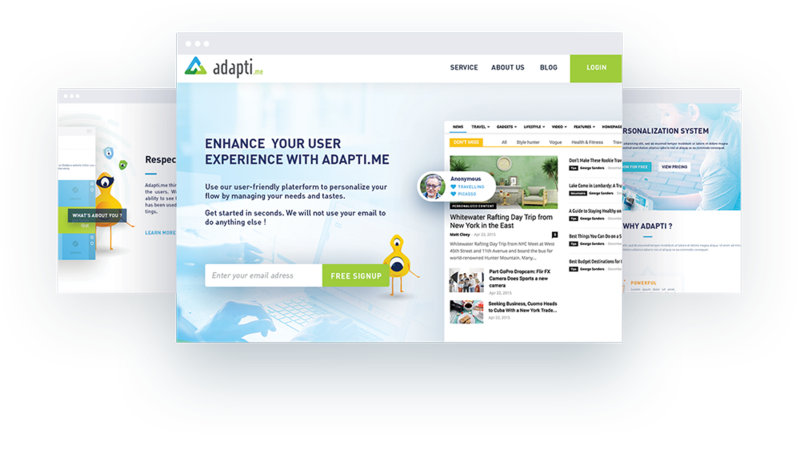 Adapti.me provides a respectful personalization tool for websites to create unique experience for every single visitor. 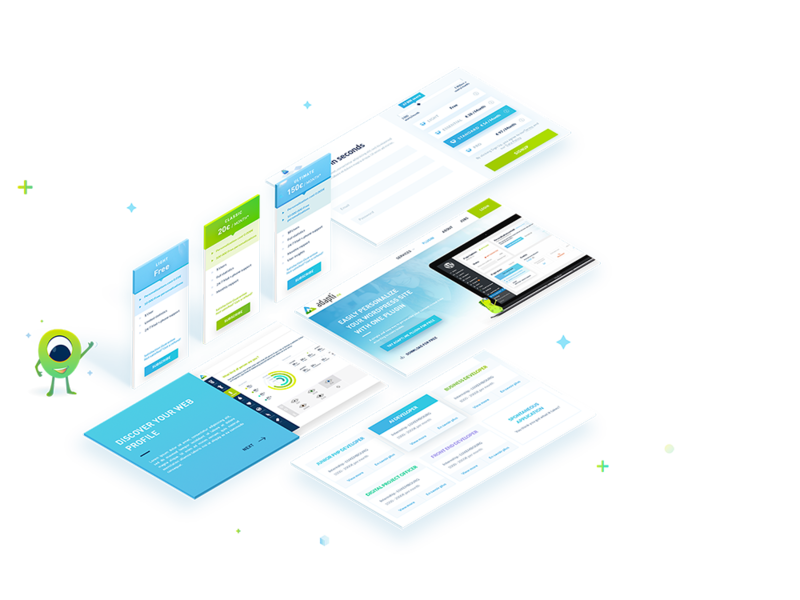 Website owners have the ability to personalize their content and design according to every single user's tastes, interests and singularities, in order to create the best user experience possible. 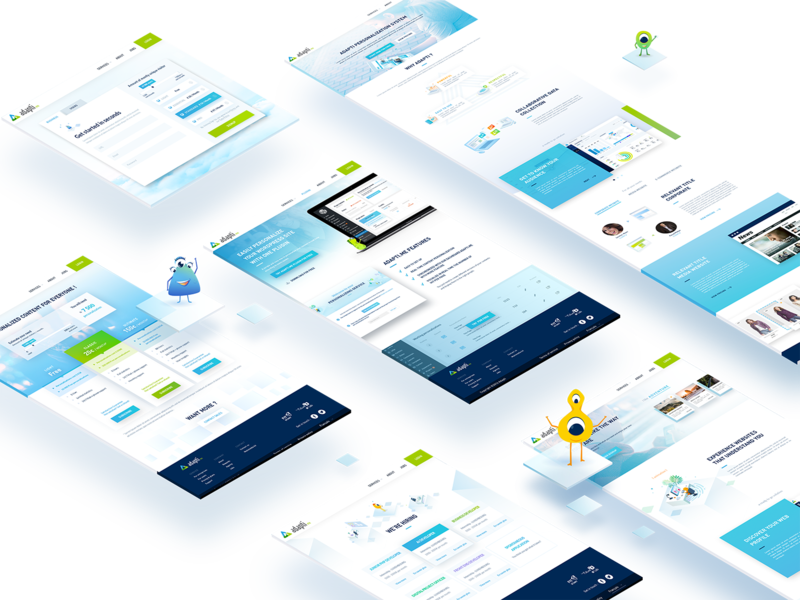 Working within the team Adpati.me, my tasks consisted in redesign the Adapti.me website which promotes the solution and at the same time redesign the dashboard dedicated to website owners. User experience on the website was clarified highlighting gaps in experience. 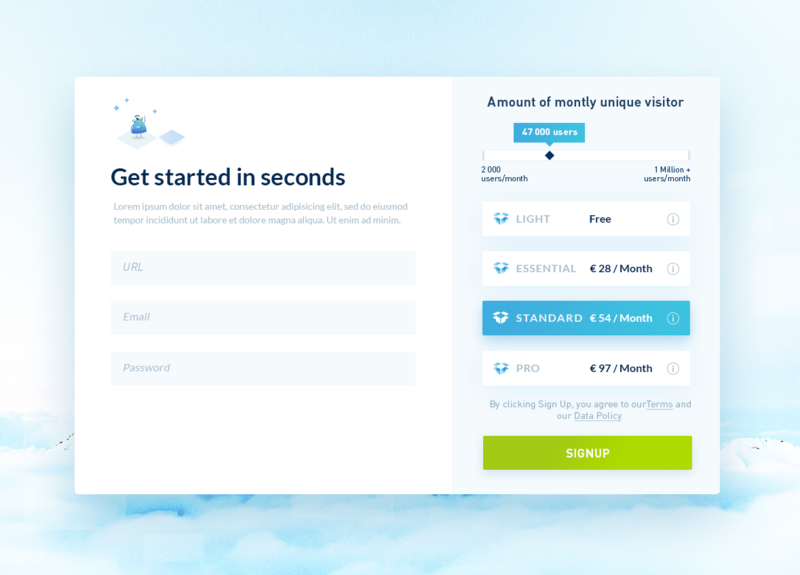 The site allows users to subscribe to the service and also to login to the personalization platform.